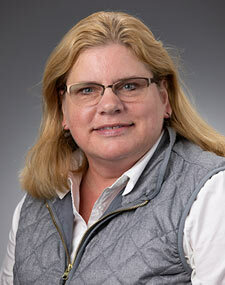 Dr. Bjorklund is a Professor in the Department of Graduate Nursing, School of Nursing, on the Duluth campus of The College of St. Scholastica (CSS). 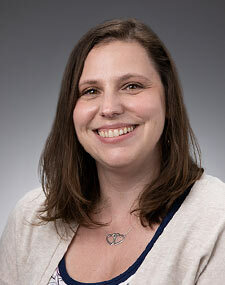 She teaches full-time in the Doctor of Nursing Practice (DNP) program, teaching core courses, clinical project courses, and role/ population courses in the Psychiatric-Mental Health Nurse Practitioner program. She is engaged in clinical practice at the Student Center for Health and Well-Being (SCHAWB), providing psychiatric evaluations, psychotropic medication management, and brief psychotherapy to student clients. In 2006, she received a PhD in Nursing with a minor in Bioethics from the University of Minnesota, along with a Distinguished Dissertation Award for the “best dissertation” in Education and the Social and Behavioral Sciences. Her dissertation represented the University of Minnesota in the National Council of Graduate Schools’ dissertation competition for the years 2006-2008. 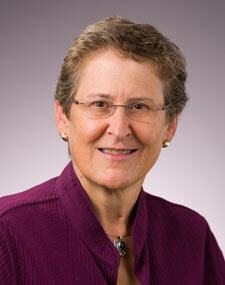 In 2009, she received the Lavine Award for Teaching Excellence from The College of St. Scholastica. 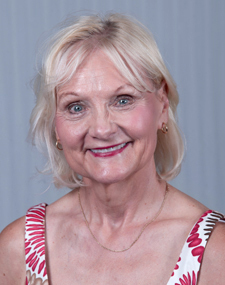 Dr. Bjorklund came to CSS from the University of Colorado Health Sciences Center in Denver, Colorado, where she received both her MS and BS in Nursing. She also has a BA in Theatre Arts with a minor in English from the University of Minnesota, Minneapolis. 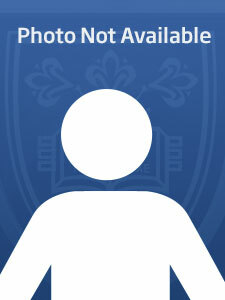 Her areas of interest include Nursing Ethics, Nursing Philosophy, and Psychiatric-Mental Health Nursing. Her research interests take her to the points of nexus between Psychiatry, Nursing, Sociology, Philosophy, Ethics, Technology, and Women’s Studies. She is especially interested in the nature of moral work, dialectical labor, and responsibility in mental health contexts. Bjorklund, P. (In press). Assessment and diagnosis, In K. Wheeler (Ed. ), Psychotherapy for the advanced practice psychiatric nurse: A how-to-guide for evidence-based practice (3rd Ed.). New York: Springer Publishing. Bjorklund, P., & Lund, D. (2017). Informed consent and the aftermath of CPR: Ethical considerations. Nursing Ethics, 1-12. Bjorklund, P. (2016). Commentary on the impact of digital technology on brain development and the capacity for empathy. Advances in Nursing Science, 39(1), 71-84. Experienced Advanced Practice Nurse as a Family Nurse Practitioner. Primary experience in express and urgent care. Doctor of Nursing Practice clinical experience at the University of Minnesota Cardiovascular Clinic. ANCC Board Certified Family Nurse Practitioner. Licensed by the State of Minnesota as a Certified Nurse Practitioner. My areas of practice interest are family medicine, and cardiovascular health. My research interests include cardiovascular health, online learning, and simulation. 2012: Doctor of Nursing Practice. Metropolitan State University, St. Paul MN. 1981: Bachelors of Science in Nursing. The College of St. Benedict, St. Joseph, MN. Experienced Advanced Practice Registered Nurse-Nurse Practitioner; Extensive (>20 yrs) clinical experience as a Family Nurse Practitioner. Has broad experience with populations across the lifespan providing preventative care, evaluation and treatment of episodic illness, and chronic disease management. My teaching philosophy focuses on application of didactic knowledge to clinical practice; didactic coursework is conducted on-line and in classroom setting; much emphasis is on individual and group case reviews, critical thinking, and clinical documentation technique. Future plans include incorporating more simulation exercises into clinical practicum courses and standardized assessment. 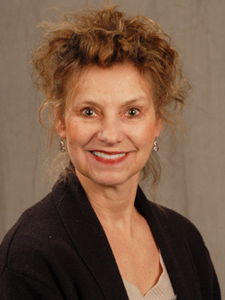 Dr. Nancy L. Falk is a nursing leader, educator, and scholar with a collaborative style and interdisciplinary perspective informed by clinical, informatics, policy, and business/leadership understanding and experience. She has been a substantive contributor in non-profit organizations, government agencies, academic institutions, private entrepreneurial ventures, publicly traded corporations, and her family’s manufacturing and retail business. Her primary area of expertise is in aging worker/workforce issues. Dr. Falk was a trailblazer (1980s-1990s) in biomedical informatics leading clinicians and researchers to embrace electronic research tools and emerging technology solutions to enhance clinical practice and research. She was instrumental in initiating and developing the Nurse Faculty Education Act of 2005, as the John Heinz U.S. Senate Fellow in Aging Policy. 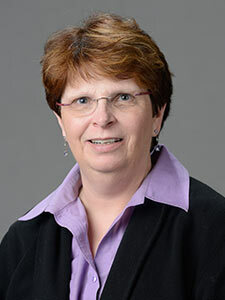 As a founding faculty member of the School of Nursing at the George Washington University (2009-2016), she served as co-director on a Robert Wood Johnson (RWJ) Funded Nursing Alliance for Quality Care grant and as co-PI on an Agency for Healthcare Research and Quality (AHRQ) grant focused on Nurses’ Contributions to Fostering Successful Patient Engagement. Teaching: A passionate educator and lifelong learner, Dr. Falk focuses on empowering current and future nursing leaders - helping them to be effective, influential, and impactful in clinical, educational, policy, research, and other roles. She promotes learning by doing and engages students in real projects to help them gain skills and confidence so they meet and exceed professional goals. Recent Teaching Honor: Sigma Theta Tau, Epsilon Zeta Chapter, Excellence in Nursing Education Award (2015). Service: Elected member of the National Academy of Social Insurance. Serve on Social Research, Policy and Practice Executive Committee of GSA as Mentoring Committee representative. Service Highlight: Fellow in Gerontological Society of America (GSA) (2016). Falk, N.L., Rudner, N., Chapa, D. & Greene, J. Nurse practitioners and intent to retire. Journal of the American Association of Nurse Practitioners, October 2016. Falk, N.L. Infographic development by Accelerated Bachelor of Science in Nursing (BSN) students: An innovative technology-based approach to public health education. Nursing Education Perspectives. September/October 2016, p. 299-301. Education: University of New Mexico - MSN 2000 Suomi College - AD nursing 1995 Bradley University - BA International Studies and Political Science 1988 Biography: Mary moved to Duluth in the fall of 2017 with her husband and teenage daughter after living in Utah, NM, and Arizona since 1995. 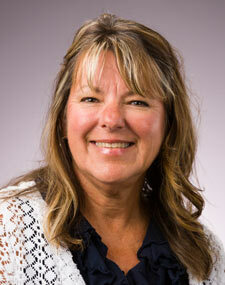 She has over 20 years of experience providing direct patient care in multiple different rural settings. Currently at St Scholastica she has taken on an administration role in the School of Nursing as a grant manager for the graduate nursing department, which is a new and exciting challenge. Areas of interest include: Preventive care/Immunizations, Hepatitis C, and HIV, and complex case management that includes outpatient antimicrobial therapy aa well as prior authorization of expensive treatments. I am also interested and support independent practice for APRN's, healthcare reform, and the promotion of nurses as scholars. Experienced Advanced Practice Nurse-Nurse Practitioner and Clinical Nurse Specialist. Extensive clinical experience in public/community health, care of adults and older adults in long term and community settings and care management and care coordination. My teaching philosophy focuses on creating an open classroom rich with feedback and opportunities for interaction and active learning. My goal as a teacher is to instill a commitment to life learning and openness to reflective practice. Dr. McRae graduated from The College of St. Scholastica in 2015 from the MSN program and became an Adult/Gerontological Nurse Practitioner with expertise in addiction medicine, older adults, and creative care delivery. 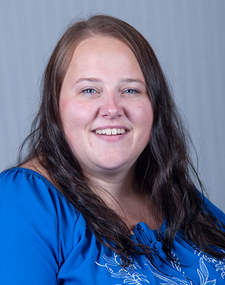 Dr. McRae graduated from the CSS Post-Graduate DNP program in 2018 and enjoys teaching in the graduate nursing program, and has served as a clinical instructor for the post-baccalaureate undergraduate nursing program. 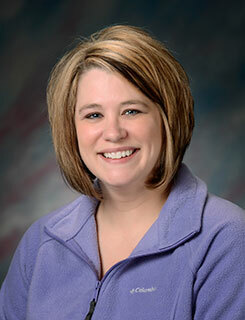 Dr. McRae maintains a full-time hospital based clinical practice in addition to teaching. Biography: Research interests include multimorbidity management, palliative care, population management, care of the older adult with dementia. Psychiatric-Mental Health and Clinical Project Courses in the Graduate Nursing Department.